I was lying on my couch this past Saturday and low and behold there was the an ad for the Son's Of Anarchy. 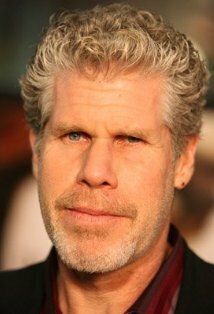 One of my favorite actors besides Charlie Hunnam and of course the awesome Katie Segal is Ron Perlman. 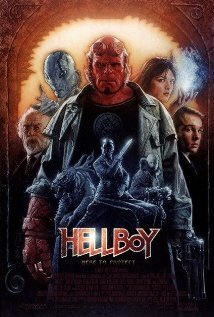 If you don't watch Son's of Anarchy you definitely know him from Hellboy. But what cemented this post for me was Sunday morning. I switched on the TV and there he was in Blade 2. So it got me thinking just how many movies was this guy in. Just take a look at his resume over at IMDb . The list is too long to go into. Voice work for Fallout, Teen Titans etc. 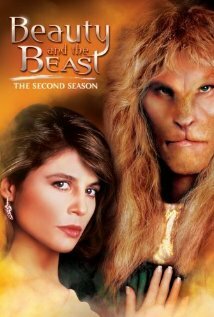 I was impressed and on top of that, imagine my surprise when I found out that he played Vincent opposite Linda Hamilton in "Beauty and The beast." I remember watching this series and being utterly fascinated as a kid. The beast who lives below the streets with other misfits and doesn't transform into a human. Nope this is who he is. With Perlman I forget he's an actor and I focus on the character so much so it takes me seeing the film a couple of times to realize it's him. So my question to you is this: Is there an actor that makes you forget that he/she is playing a character, to the point where you're surprised later to find out you were watching that actor all along?